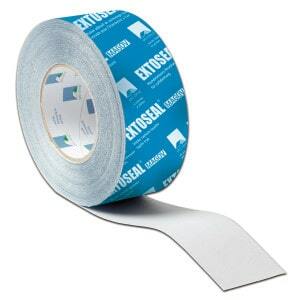 Highly elastic airtight butyl sealing tape from Pro Clima. Highly flexible airtight Butyl tape suitable for sealing of penetrations in airtight and windtight barriers. Ideal for ensuring airtghtness around services and also around penetrating structural members. Tape can be easily moulded and worked around areas such as joist ends to wall junctions while maintaining a robust airtight connection. Available in widths of 60 and 100mm.